It’s been a very exciting week for me and Perfect Ten. The official launch date was earlier in September, but the launch party was on the 21st September at Chapter One Books in Manchester. On Friday, it was reviewed in the Daily Mail! Perfect Ten has gone national! In the fantastic review in their books section it was described as a ‘This compelling debut from a psychologist is about revenge in the age of social media’ and ‘wildly exciting’. The Daily Mail loved it! The launch of Perfect Ten also exceeded my expectations. Chapter One Bookshop in Manchester is a lovely setting for writing but it has been my dream to hold a book launch there and it was finally fulfilled. My fabulous agent, Judith Murray, and Kirsty Doole from Atlantic Books came along as well and dozens of my friends and family. It was a truly fabulous evening and I will remember it forever. We also raised money for Women’s Aid during the day with an online link to donate and also a collection on the evening. I am grateful to everyone who attended and those who couldn’t be there but donated online. 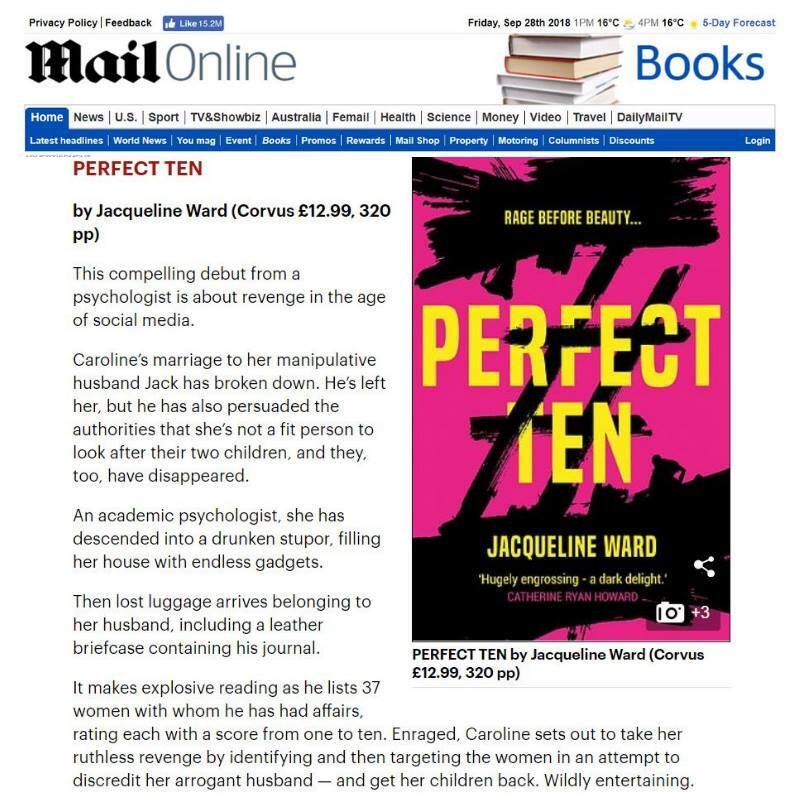 Before Perfect Ten was released I was a little nervous about whether people would ‘get it’ in terms of psychological abuse and domestic violence. I wrote it from the heart and tried to show that while many lives look perfect, with great jobs, lovely kids, nice houses and cars, underneath there is a constant nightmare of abuse. The reviews and personal feedback I have received has been overwhelmingly understanding. People do get it and several people have mentioned that they recognised themselves in Caroline in past relationships and only now realised that they were being controlled. So once again, here is the National Domestic Violence Helpline – please get help and support if this is you or you recognise this in someone’s relationship 0808 2000 247. My exciting news, apart from the above, is that my next book is finished! I can’t reveal the title yet but there is a tentative publication date of late 2019 and I cannot wait for you to meet the characters. Meanwhile, I am busy writing book three. 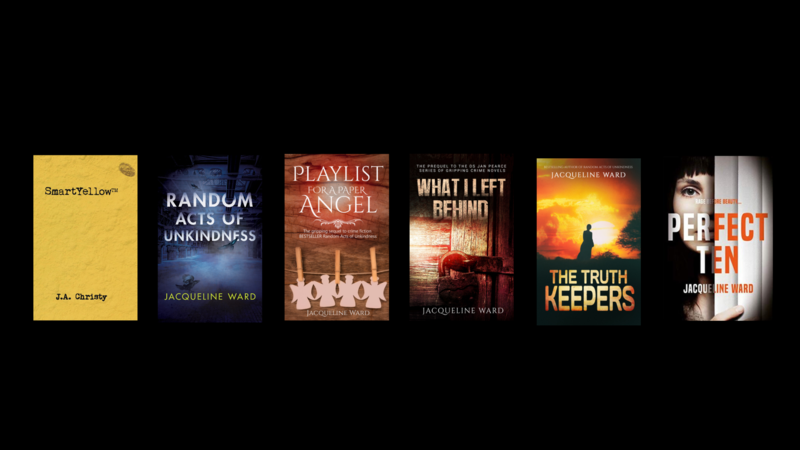 It’s been an exciting time, and I want to thank everyone who has read Perfect Ten – if that is you please take a moment to review it – I am genuinely interested in what you think about Caroline and her behaviour – good or bad!